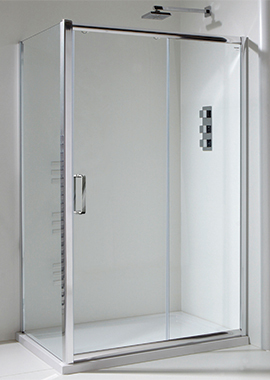 Create your shower enclosure by adding this toughened glass side panel. Select your choice from the options given below. 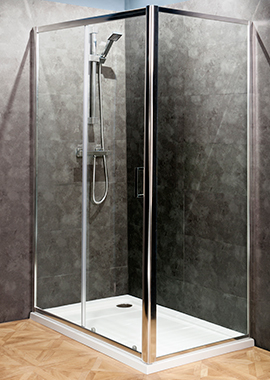 Complete the look of your showering area with this high quality shower tray. Standard tray height is 40mm. Easy plumb tray will raise the height by 95mm. 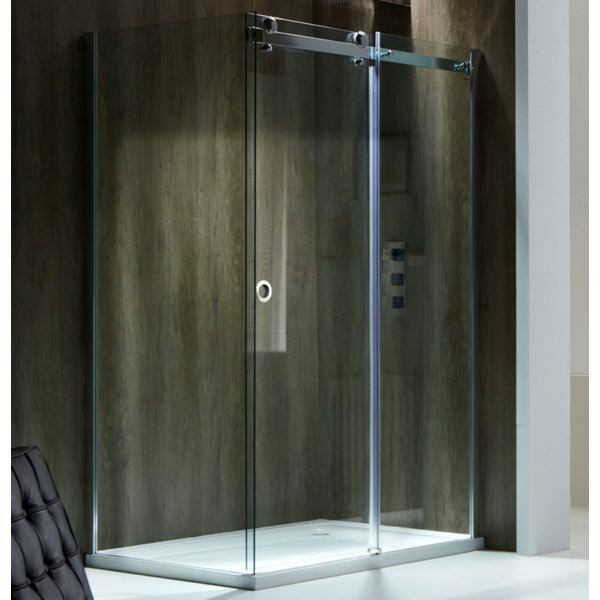 The Champlain II 8mm Frameless Sliding Shower Door 1400mm is an elegant modern twist on the classic shower door and will enhance the contemporary look of any bathroom. The traditional metal frame has been removed from this design, so what you notice when you look at the shower is nothing but gleaming toughened safety glass. To cut down on fingerprinting and dust, the glass has an easy clean coating. 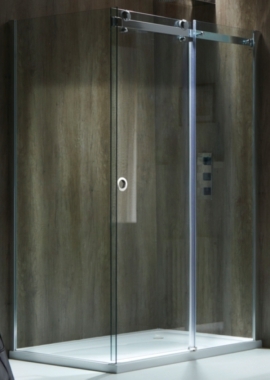 The door is wetroom compatible and has concealed fittings. This model is the second smallest in the collection at 1400 millimeters in width by 1900 millimeters in height. You can shop the other sizes to find the right fit for your bathroom and add shower trays, side panels or wastes to your order using the options below.